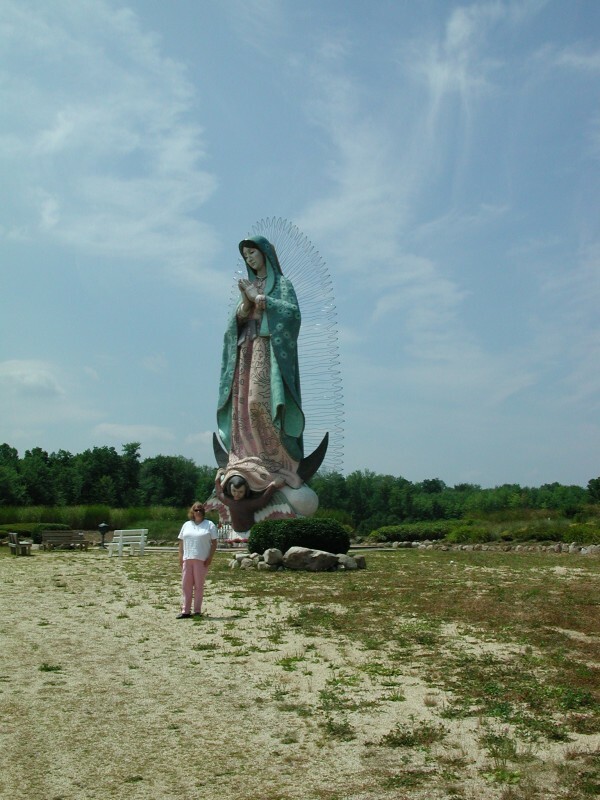 Our “Oho Oddities” this month features this gigantic statue of the Shrine to Our Lady of Guadalupe in Windsor, Ohio at the Servants of Mary Center for Peace on Ireland Road. The fifty-foot tall statue is made entirely of more than a half-million mosaic tiles and was built by volunteers at the center. It stands overlooking a reflecting pond which is surrounded by illuminated foot-tall rosary beads. The statue and the center was the idea of Ed and Pat Heinz who purchased the fifty-acre farm back in 1987. The statue was built in the early 1990′s. This entry was posted in Misc., One Tank Trip and tagged OneTankTrips on September 5, 2010 by Neil.